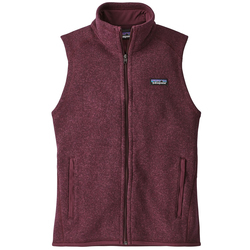 A cozy fleece vest adds the requisite amount of warmth when you need to fend of a chill without adding an extra layer to your arms. A vest is a flawless layer to add when you hike, bike, run or do just about any other strenuous activity. It adds warmth without being stifling. Vests are extremely versatile, and you can unzip them as you heat up. Modern fleece materials come with an assortment of different benefits. Some block bitingly harsh winds, many wick moisture away from the skin and some are plush and exceedingly soft. Fleece vests are also available with or without hoods. Premiere women's fleece vest brands include The North Face, Burton Snowboards and Mountain Hardwear.